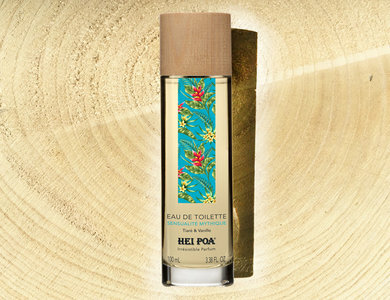 Hei Poa's Sensual Eau de Toilette is an irresistible perfume based on Tiare and Vanilla with citrus tones, a hint of jasmine and fine fragrant sandalwood. In a beautiful package with unique wooden cap. Would you like to sell the Hei Poa products in your shop, salon, beach pavilion, web shop or the like? Then send us a request via the contact form.